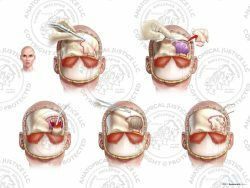 This exhibit features the second part of a craniotomy procedure to evacuate bilateral subdural hematomas. 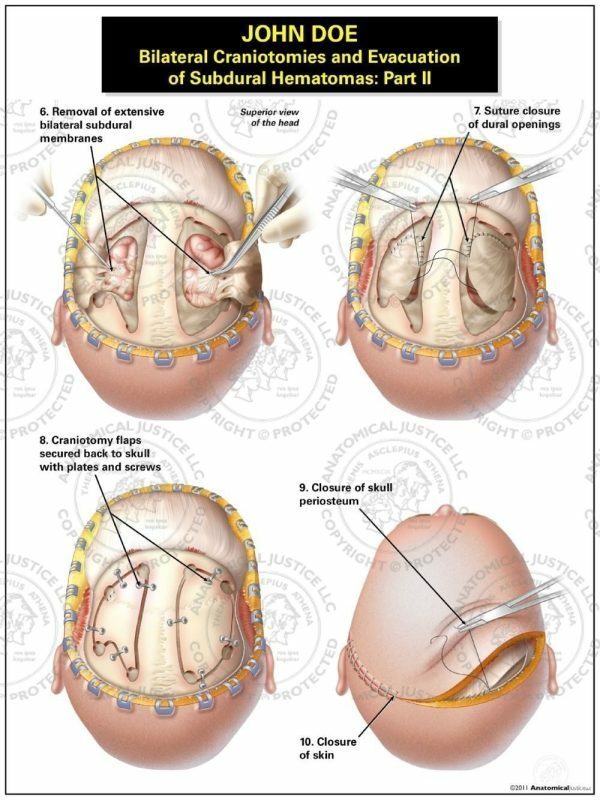 After hematoma removal is accomplished, extensive subdural membranes are excised, and the dura is closed with sutures. 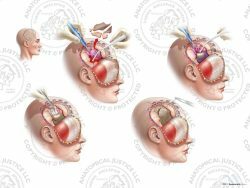 The craniotomy flaps are then secured to the skull with plates and screws. 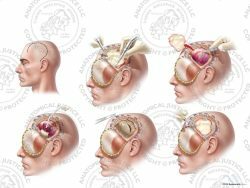 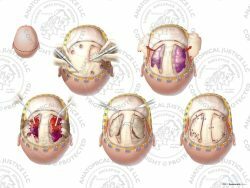 Sutures are used to close the scalp incision in layers, beginning with the periosteum, and ending with the skin.